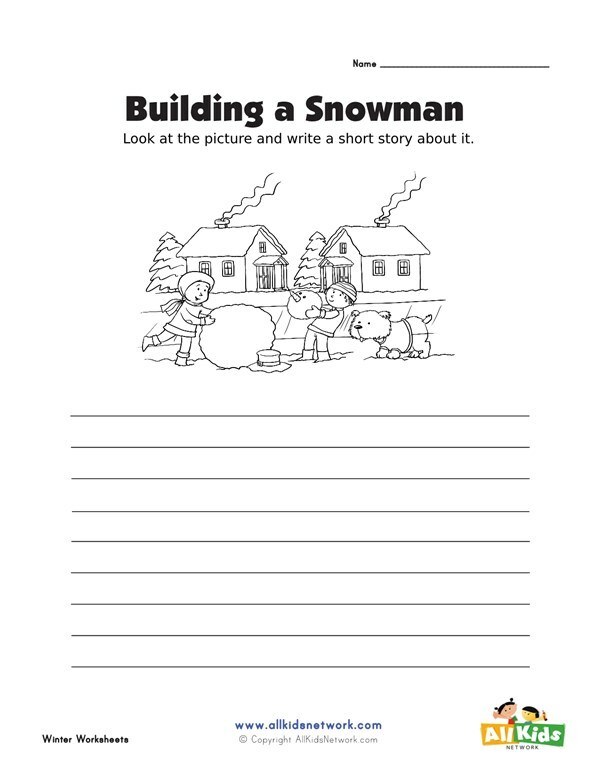 Children will enjoy this winter picture prompt writing worksheet. Students are instructed to write a short story to go along with the picture of kids building a snowman. 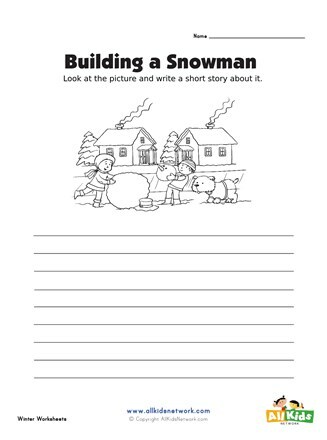 This winter themed writing worksheet features standard lines and a few sheets of lined writing paper.